PNNL engineer Steven Ross was presented with the Aoki Award for Distinguished Poster Presentation at the 18th International Symposium on the Packaging and Transportation of Radioactive Materials (PATRAM) in Japan. Chosen from among 56 posters, Ross’ poster stood out for its technical and communication excellence. The poster, titled “ENSA/DOE Transport Shock and Vibration Test Plan,” described a research plan to study the stresses that spent fuel rods may experience during transport by truck, rail, barge, and ocean-going vessel, as well as while being transferred between these modes. PATRAM brings together experts from governments, industries and research organizations worldwide to exchange information on all aspects of the packaging and transport of radioactive materials around the globe. 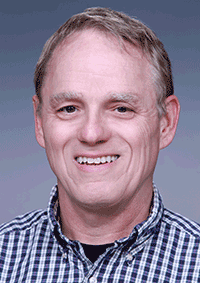 Ross joined PNNL in 1995 after earning his masters in nuclear engineering from the University of New Mexico. He has extensive experience in probabilistic risk analysis, safety analyses, fire modeling, fire risk analysis, environmental impact analyses, transportation analyses, project management, and regulatory impact analyses. In addition to conducting analyses at numerous nuclear reactor sites, has also conducted safety analyses of U.S. Department of Energy facilities and is familiar with the DOE weapons complex.